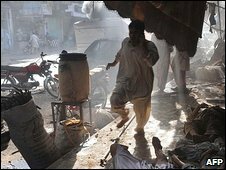 The Pakistani city of Peshawar is on high alert after 13 people died when two bombs exploded in a market and a suicide bomber attacked a police checkpoint. Six people died and another 70 were injured when bombs exploded in the marketplace and gunmen fired at police when they arrived on the scene. Two gunmen were shot dead. Another five died when a suicide bomber ploughed into a military checkpoint on the outskirts killing four soldiers. Police placed restrictions on motorist movements in the capital of North West Frontier Province which has seen a marked increase in violence in the last three weeks in response to the army’s anti-Taliban operation in the Swat valley. Today, Peshawar residents told Al Jazeera people were afraid to leave their houses because of the likelihood of more violence. “Things have come to such a pass that from morning till evening there is a sense of foreboding,” Shah Gul, a shopkeeper, said. “When a person leaves his house in the morning, his wife, his sister, and his parents are not sure if he will return in the evening.” Others criticised the government for launching its military offensive to drive the Taliban out of the Swat valley and adjoining districts. “Our rulers should get some sense into their heads and change their policies,” Mohammad Ishfaq, a local businessman, said. Peshawar has been overrun with refugees fleeing the offensive. Between two and three million people have been displaced in Swat, Buner and Dir districts in the NWFP. Heavy fighting between Pakistan’s military and Taliban insurgents has continued for three weeks. The Taliban have retreated to the mountains but still hold 30 percent of Mingora. Many of the refugees fleeing towards Peshawar may be Taliban militants. Both sides have identified Peshawar’s dominant Pashtuns as a crucial force to win over. The Pashtuns are renowned for their generosity but many are inundated by refugees from the Swat valley. “We are poor people. Still we have given shelter to six people in my tiny, two-room house,” said Farooq Khan, a shopkeeper in Rustam village, Swabi, 140km northwest of Peshawar.” I cannot afford them, but it would be against Pakhtun tradition to deny shelter to anyone,” he said. 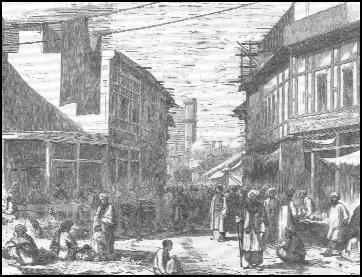 The city of Peshawar was given its name by Moghul rulers in the 16th century. The name means “place of the frontier” in Farsi. It has long been a place that has hovered on the edge of war. It was the centre of Afghan refugees fleeing across the Khyber Pass after the Soviet invasion in 1979 and again after the US invaded in 2001. The danger is Peshawar will now become a frontier again. The stakes are high for Islamabad. Support for the war in Swat is holding but if Peshawar becomes a regular target, then the Pashtuns may end, or even switch, their support. If that happens, Pakistan’s war against the Taliban would quickly collapse with potentially disastrous consequences. I went along to a Walkley Foundation Night at the Regatta Hotel tonight to listen to four Brisbane media personalities talk about press freedom issues. The event was moderated by Cathy Border, Channel Ten’s political editor and featured ABC’s Pacific Correspondent Sean Dorney, fellow ABC journalist and state 7.30 Report producer Peter McCutcheon and The Australian’s Queensland political reporter and FOI editor Sean Parnell. Sean Dorney began the discussion by discussing his recent experiences in being expelled from Fiji. Given that the material is similar to the ground relating to his 14 April expulsion from Fiji, which I covered in his QUT speech, I don’t propose to rehash his comments tonight. However Dorney did have a few important updates. He noted that all Fiji lawyers will be forced to re-register as of the end of June in an attempt to weed out law practitioners unsympathetic to government. Dorney said that Fijian journalists are unhappily waiting for a similar decree to come their way. Sean Parnell spoke next. Parnell began his career as a photojournalist for The Inverell Times newspaper and then worked in radio and TV before writing for the Courier-Mail for ten years. He is now the Queensland bureau chief of The Australian and specialises in Freedom of Information (FOI) laws. Parnell lamented the gradual dumbing down of political debate and the increasingly strained relationship between politicians and journalists. He talked about the “leap of faith” required to believe the Queensland overhaul of state FOI laws will work. Parnell lamented how the “spin cycle” made getting even simple information from governments an extraordinarily difficult task. He applauded the John Faulkner efforts at a federal level to reform the FOI laws despite the tight media management of the Rudd Government. Parnell said journalists should not rely on FOI which was “just another tool” to get information out of governments. He also noted that given the usual three month delay between making FOI requests and getting the information means that journalists need to look beyond the news cycle to determine what to request. ABC’s Peter McCutcheon spoke next. McCutcheon agreed with Parnell that communication between politicians and journalists had deteriorated. He said that whenever he requests an off-the-record briefing on an issue, he has to wait for several weeks and even then all he gets are “weasel words” from a minister. McCutcheon also mentioned how journalists who successfully get FOI data are penalised as they only have 24 hours to use the fruit of their hard work before the same information is released to all other media. Parnell interjected to say that this is the media’s own fault. He used the example of where a media outlet FOI output turns out to be useless, but they use one damning statistic in “paragraph 340” as a lead. Parnell says governments will then deliberately reveal the entire file to show the news lead was taken out of context. While the mix of Fijian content from Dorney did not always sit well with the FOI message from Parnell and McCutcheon, the session did highlight that Australia cannot afford to be complacent about freedom of the press. As I wrote here a few days ago, governments in Australia employ 4,000 people as part of their PR arm, outnumbering the total of journalists by a staggering four to one. No wonder then, says Peter McCutcheon, whenever he speaks to ministers, all he gets is “a tightly controlled message with not a lot of content”. The wider question then is, if messages do not carry content, what exactly is it they are conveying instead? Rajapaksa wins the Sri Lankan war but can he win the peace? Sri Lankan President Mahinda Rajapaksa is basking in outright military victory over the Tamil Tigers, but has he got a political solution for the peace? This is the question the island nation is asking, after the Tigers’ military defeat was confirmed on Monday. Rajapaksa must now prosecute the peace with the same urgency he fought the war and convince the Tamils their interests are best served in a united Sri Lanka. It will be, in many ways, a more difficult task. While the majority in the south celebrates the end of a war that claimed 100,000 lives in 26 years, the northern minority remains sullen, resentful and suspicious. Rajapaksa got first hand evidence of the problem last week. When he rose to publicly acclaim victory in parliament he was faced with 20 empty seats of Tamil parties who boycotted the speech. The president offered reassurance to those that stayed to listen. 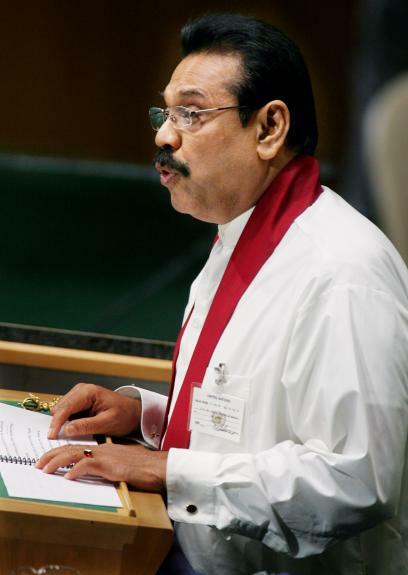 Speaking in Sinhalese and Tamil, Rajapaksa said the defeat of the Tigers should not be seen as a defeat for the Tamil community. He said the protection of all people, Tamils included, was his “duty and responsibility”. He should now be given time to show whether he can live up to this duty and responsibility. The west has a role to play. The EU demanded an inquiry into war crimes because of the high civilian casualties during the latter stages of the war. It also has the ability to withdraw preferential trade status worth $150m to Sri Lanka. Rajapaksa will be hoping more favourable views will prevail within the commission as they did three years ago to help him win the war. In 2006 the EU froze all Liberation Tigers of Tamil Eelam assets in Europe. That decision was a body blow from which the rebels never properly recovered. Having once ruled almost a quarter of the country, they were gradually squeezed into a corner. Their defeat seemed inevitable from the start of this year when they were hemmed into the tiny north-east coastal jungles of Mullaitivu. There was an eruption of celebration in the south. UN General Secretary Ban Ki-Moon arrived in Colombo on Friday to influence Rajapaksa’s plans. Ban found the streets full of revellers delighted the war was over. But there are 300,000 refugees in the north for whom the war is far from finished. Ban is visiting the refugees at dozens of massive government-run camps scattered around the north. 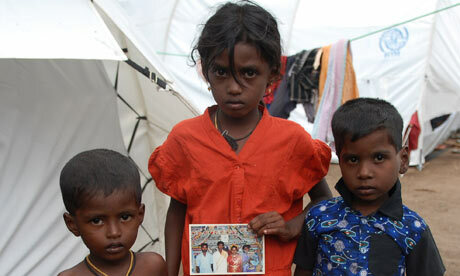 Rajapaksa needs to reach out quickly to these people to ensure his military victory will not be vain. He has drained the swamp of insurgents but they can easily find a new breeding ground. Rajapaksa has to stop Tamils from re-grouping as a disaffected minority who could eventually begin the cycle of guerrilla war all over again. Last week, Rajapaksa sent his wife Shiranthi to visit the main refugee camp at Manik Farm (holding 30,000 people by the end of April and at least twice as big today). The Sri Lankan broadcasting corporation reported Shiranthi handed over a consignment of emergency aid while “one thousand spectacles were also donated to persons with vision impairments”. Having Velupillai Prabhakaran out of the way helps. The 54-year-old LTTE leader was an extremist who could not deal with the government. He introduced suicide bombing tactics such as the 1996 Central Bank in Colombo attack which killed 90 and injured more than a thousand. Prabhakaran’s death has also been welcomed by India. He has been a wanted man there since the Tigers were implicated in the 1991 assassination of Rajiv Gandhi. India’s role remains crucial. Directly across the Palk Strait from the island live 60 million Tamils people in one of India’s most volatile and important electoral regions, Tamil Nadu. People from Tamil Nadu began migrating to Sri Lanka a thousand years ago and Indian Tamils strongly identify with their fellow ethnics across the strait. Colombo has always baulked at Indian demands for a federal constitution in Sri Lanka but now might be the time to listen. In the Tamil Nadu capital of Chennai, Janata Party president Dr Subramanian Swamy reminded Sri Lanka again this week that a federal constitution was the best way to ensure Tamil rights. Rajapaksa has a large laundry list of reconciliation tasks to be going on with: quickly resettling the homeless, dealing with prisoners of war, ending the repeated security checks Tamils face in their daily lives, allowing freedom of speech in the media, and holding elections in the north as soon as possible. He must do all this while preventing further bloodshed, convincing his own army it is necessary to compromise in victory, and persuading the west to support the nation’s redevelopment instead of probing into war crimes. Tricky times lie ahead. 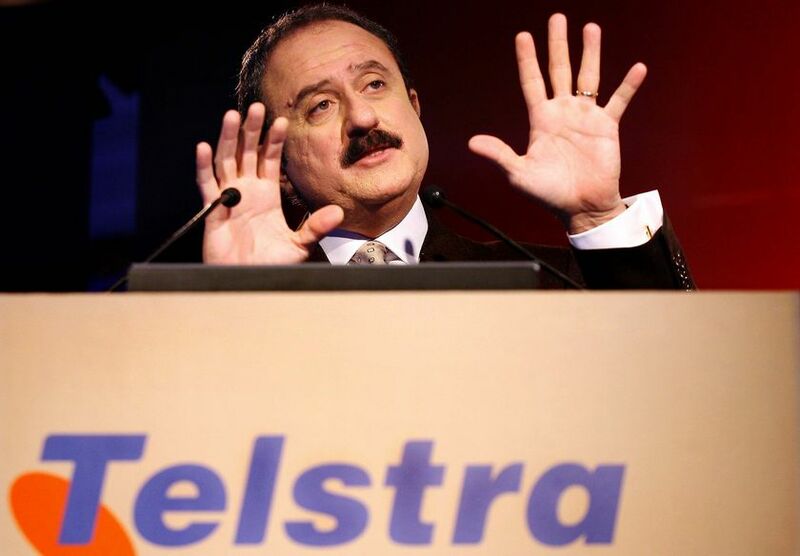 Former Telstra boss Sol Trujillo punched a hole in Australia’s fragile ego when he said had experienced racism in Australia and working here was “like stepping back in time.” Speaking to the BBC in San Diego, Trujillo said Australia’s isolation meant it had a “different operating climate” from most countries but was slowly evolving and maturing. In the week where the “bogus bogan” Clare Werbeloff got her 15 minutes of fame by talking about “fat wogs” and “skinny wogs”, that maturity is materialising very slowly. Australian reaction to Trujillo’s criticism is typically thin-skinned. Prime Minister Kevin Rudd’s spokesperson called the statements “ridiculous” and said they will disappoint Australians who welcomed him to this country. Rudd’s single word reaction to Trujillo’s resignation from Telstra was “adios” and the constant media cry of the “three amigos” greeted Trujillo (and his two offsiders Greg Winn and Phil Burgess). Trujillo, like Winn and Burgess, is American not Mexican, and may feel rightly aggrieved at being defined (no matter how playfully) by his heritage.Back in March, marketing expert Dr Stephen Downes wrote an article in Crikey about Trujillo’s racial stereotyping in the media. Downes said Trujillo’s name and ethnic background became more important than his qualifications and experience. He quoted Eric Ellis who noted how cartoonists always depicted Trujillo in a sombrero astride a donkey, while shock jocks mimicked an imagined Mexican accent, though his family came to the US 200 years ago. “Did cartoonists feel compelled to draw former CEO Ziggy Switkowski (born in Germany) in lederhosen and eating a bratwurst?” asked Downes. A team at University of Western Sydney and Macquarie University have done considerable research into this “sad state” of acceptability. In 2001 they conducted a telephone survey of 5,000 people in NSW. This was backed up by a sample of 4,000 Victorians in 2006. 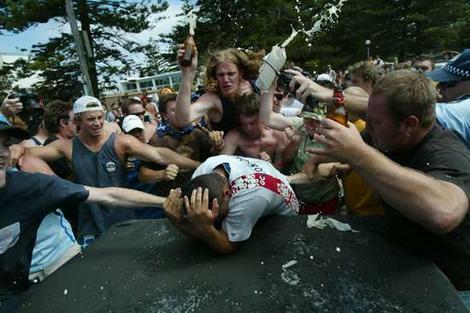 The researchers found racism is quite prevalent in Australian society though its occurrences differ from place to place. If you were older, non-tertiary educated, only spoke English, were born in Australia, and were male, you were more likely to be racist. While these findings back up Trujillo, he is not beyond criticism. 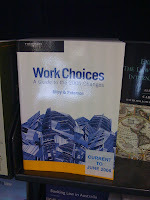 His time at the helm did little to halt Telstra’s slide. Shares in Telstra fell 38 per cent under his leadership, compared with a 13 per cent drop by the S&P/ASX 200 index in the same timeframe. Telstra was also excluded from the $4.7 billion original tender process to build a broadband network after it submitted a non-compliant bid and found itself further on the outer when the government announced a new company would deliver the $43b National Broadband Network. Trujillo quit his job early, leaving Australia six weeks before his publicly announced end date of 30 June. The Australian’s former senior business correspondent Michael Sainsbury said Trujillo’s problem is perception. He says Trujillo did not show a lot of interest in Australia or understanding Australia. “I think that’s why he’s kind of got that perhaps a little bit wrong,” he told the ABC. BBY Telecoms analysts Mark McDonnell said there was an element of jocularity about the “three amigos” jibe. “I don’t think there was anything demeaning or malicious intended by it,” he said. But if that is true, and it is debatable, it does not excuse the amount of racially motivated mocking Australians dished out to him. Sol Trujillo may not be the world’s best businessman but that does not entitle Australian politicians or the media to rob him of his dignity. Tanzania President Jakaya Kikwete claimed the honour last week of being the first African head of state to visit the Obama White House. 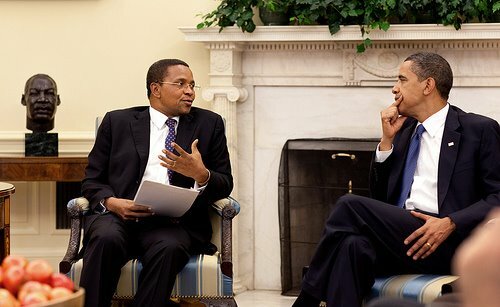 Kikwete visited Washington on 22 May where President Obama said the US had a “close bilateral relationship” with Tanzania. He and President Kikwete discussed development policy in health, education, and agriculture and also went through some of the more intractable problems in Africa. The visit is a strong endorsement of Kikwete’s regime and Tanzanian governance which is proving one of the sturdiest in sub-Saharan Africa. The energetic 58-year-old Kikwete has a busy program in the US. Kikwete went to Stanford University to discuss clean water projects and also went to Silicon Valley in California to talk to technology giants such as Google, IBM and Cisco.Tanzania is moving rapidly into the technological age. In three months it will connect the first of three undersea fibre optic cables to link East Africa with Europe via the Indian Ocean. The $600m project is expected to lower telecoms costs by 95 percent. This will have a galvanising affect on the Tanzanian economy. The United Republic of Tanzania was founded in 1964 as the peaceful merger of two British colonies: Tanganyika and the island of Zanzibar. It went through an inevitable stage of one party rule under Julius Nyerere before returning to multi-party democracy in 1992. Tanzania is one of the few African countries where the official language is not inherited from the colonial power. There is no de jure language, but Swahili is the language of the people and the parliament with only the courts speaking English. The country’s biggest problem is the scourge of corruption infecting the body politic. Jakaya Kikwete was elected Prime Minister with a mandate to end that corruption. He is a former army officer and an experienced politician elected to parliament in 1988. He was elevated to the ministry in 1990 and over the next 15 years served a long apprenticeship managing water, finance and foreign affairs. He was finally elevated to the top job when he won the 2005 election with a landslide majority taking over 80 percent of the vote. 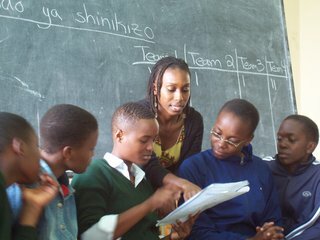 Kikwete’s early priorities were education and technology. He wanted to reverse the brain drain of academics leaving the country. Speaking at the University of Dar es Salaam in 2006 he said “development in science and technology is not only an important determinant of a country’s socio-economic development, but enhances the country’s international competitiveness and its position in the world economy.” While critics are not happy about the pace of his ‘agricultural revolution’, his Silicon Valley meetings show his seriousness in attempt to engage with the problems of technology. Australian blogger and tech writer Stilgherrian will get the chance to see first hand just how far Kikwete’s technological revolution is kicking in. He has been sponsored by aid agency ActionAid Australia to establish a blog outpost in the local community and train them up in best-practice blogging. There is already a blogging community there that Stilgherrian may be able to tap into. As Issa Michuzi’s blog notes: although Tanzania still languishes in the list of least-developed nations, it is a country is endowed with abundant natural resources that are almost unparalleled in the African continent. As Jakaya Kikwete is intent on showing, the chief among those resources are its people. The Australian Federal Government is rightly getting a lot of flak at the moment for the extraordinary tightness of its media management. The budget came and went without Treasurer Wayne Swan announcing the actual deficit size for fear of giving the Opposition an advertising grab. Just last Tuesday, Kevin Rudd appeared on ABC Lateline and steadfastly refused to attach the word “billion” to the dollar amount of the deficit. Interviewer Tony Jones asked him: “Is there a political spin rule which says the Prime Minister must not say that figure?” Rudd fudged a reply but the answer is undoubtedly yes. The spin rule emerged from the heart of the massive Australian public relations state. Kevin Rudd is certainly the most aware Prime Minister yet about the power of marketing a carefully crafted media message. However, it not just about Rudd’s obsessive media management. Public relations has long been part of the institutional framework of government. This post uses research by political scientist Ian Ward to deconstruct the various components of the Australia PR state. In their important 1994 study of the UK poll tax “Taxation and Representation”, Deacon and Golding noted how the marketing of government activity had become “a central activity of modern statecraft”. The pair said there had been a massive expansion of the public relations state in the previous 20 years with extensive use of media advisers and communications professionals to promote policy and outmanoeuvre opponents. What had occurred was the institutionalisation of PR within government well beyond the traditional remit of election campaigning. Governments learned the lesson the hard way from media that they needed to play a strategic role in promoting a particular policy solution. They began to leverage off the natural advantages governments have in order to control the public conversation on political issues. As a result, they began to use advertising, marketing and public relations campaigns to sell policies and to integrate the communication activities of the various PR arms and agencies. In 2003 Ian Ward used Deacon and Golding’s model to study the Australian PR state (pdf). Ward found the Australian framework was dominated by four features. These were 1) media minders 2) media units to coordinate media relations and monitor news coverage 3) public affairs sections belonging to government departments and 4) integrating instruments that provide “whole of government” coordination of promotional activities. The media minder is the oldest of the four strategies. The first government press secretary was appointed in 1918 and by the 1930s it was established practice for prime ministers to recruit an experienced journalist to write speeches and press releases. Over time other senior ministers got their own minders and under Whitlam all ministers had a press secretary. Now relabelled as media advisers, they have evolved to provide strategic advice to ministers on how best to manage political news with overall responsibility to portray the government in the best possible light. Ward illustrated his argument with the 2001 example of Defence Ministry press secretary Ross Hampton. During Operation Rolex (the children overboard affair), the department was besieged with media enquiries. Defence Minister Peter Reith ordered that defence personnel were forbidden to talk to the media and all enquiries had to be dealt with by Hampton. The aim was to ensure that coverage of the affair was always couched in terms favourable to the government and every statement was “on message”. Hampton had a dedicated phone line to Defence public affairs. Driven by the daily news cycle, he would ring them 10 to 15 times a day and get absolute priority. It was his job then to spin whatever comment, report and pictures Defence gave him. According to Ward, Hampton served on the front line of the Australian PR state. The second flank is the media unit. Under the 1984 Members of Parliament (Staff) Act, governments can employ and assign media advisers as they see fit. This allowed them to create media units for gathering and disseminating information. The Hawke/Keating government set up the infamous National Media Liaison Service which the Press Gallery dubbed as the “aNiMaLS” in testimony both to the acronym and the group’s aggressive promotion of the government. The Howard government replaced the aNiMaLS with the toned down Government Member’s Secretariat (GMS) but the nature of the role remained the same: pumping out party propaganda. Whatever the name, the media unit consists of over 20 former journalists helping governments publicise policy. While many are farmed out to junior ministers, they work closely with the Prime Minister’s office and routinely supply ministers with transcripts of opposition media interviews. They also provide media training, prepare news letters and issue political pamphlets that cross the border into campaigning activities which are beyond the boundaries of taxpayer-funded staff. As Ward says, the media unit has become an indispensable feature of the Australian PR state. The third aspect is the departmentally-based public affairs section. Every government department has one and they vary in size and importance. These staff are public servants and supposedly do not fulfil a party political function. However Ward says it is difficult to imagine that the government of the day do not benefit from departmental PR programs that promote its policies. Through this mechanism governments can carry out public communication campaigns, commission polling, or contract ad firms to promote policy decisions. The Howard Government in particularly was notorious for the size of its ad budget including the “alert not alarmed” fridge magnet campaign, the private health insurance campaign and the unlamented Workchoices campaign. According to an Australian National Audit Office report (pdf) released in March this year, the Coalition spent $1.8 billion in advertising during its 12 years in power. The final part of the government PR jigsaw is whole of government coordination of the first three arms. In 1982 the Fraser Government established the Ministerial Committee on Government Communications to ensure all information campaigns conformed to government priorities. The politically-controlled MCGC oversees all sensitive communications, approves major strategies, and vets the hiring of PR, advertising, marketing and research consultancies. Contracts are usually awarded to favoured party pollsters such as Hawker-Britten for Labor or Crosby Textor for the Coalition. About 4,000 journalists were working for Australian state and Commonwealth governments in a public relations capacity in 2002. The number has probably gone up since then. Yet despite knowing the broad features of the apparatus we know surprisingly little about the detailed operation of the Australian PR state. Even the government acknowledges this. When Julia Gillard introduced the National Audit report to parliament in March she talked about “the shadowy work” of the MCGC. The field is crying out for research to drag it out of the shadows. As Ian Ward concludes “there remains a sizeable gap in our understanding of political communication in Australia”. This cannot be good for Australian democracy. Burmese military have banned media and diplomats from attending the trial of Aung San Suu Kyi charged with breaking the terms of her house arrest. The move is the latest outrageous measure to shut down the greatest thorn in the military’s dictatorial side. An American Mormon John Yettaw gave them the excuse when he was caught spending two days at her house after he swam across the lake to visit her last week. Authorities charged the Nobel Peace Prize winner with violating the terms of her house arrest. She and her housekeepers could be jailed for five years (Yettaw faces six). On the third day of the “trial” yesterday, the government allowed outsiders observe her in court. Pictures of Suu Kyi in good health appeared on Burmese TV and newspapers. Censorship resumed today and the prospects are not good for the 63-year-old. Aung San Suu Kyi has now spent 13 of her last 19 years in detention since she won Burma’s last democratic election in 1990. The tatmadaw (Burmese military) was the beloved creation of her father Aung San. Aung Sun was a war hero and the father of Burmese independence. The date of his 1947 assassination is still preserved as a sombre holiday in Burma. The room in the government building where he was shot is now a shrine. His aura was used to good effect by the Ne Win military administration after the 1962 army coup. Commemorations have been drastically reduced after the SLORC junta declared his daughter’s NLD party victory invalid in 1990. Photos of Aung San have disappeared from public circulation and he is rarely quoted in the press. By downgrading his image, the army is attempting to eliminate the nationalistic identity of his daughter. Aung San Suu Kyi was two when her father died. Burma became independent from Britain a year after his death. In 1956, the 11-year-old Suu Kyi was enrolled at Rangoon’s Methodist English High School. She met children from Burma’s best families and topped her class. In 1960 her mother was appointed Burmese ambassador to India and the family moved to New Delhi where they lived for the next three years. In 1962 General Ne Win launched a coup against the democratic government and Burma began to shut its doors on the rest of the world and descend into poverty. Safe in India, Suu Kyi studied until 1964 before enrolling at Oxford to study Philosophy, Politics and Economics. She graduated with a BA in 1967 and went to work for the UN in New York before returning to Oxford in 1972 where she married the Himalayan studies academic Michael Aris. They had two sons. Though Burma was never far from her mind, it seemed she would never return there. Her life changed forever in March 1988 when she got a phone call to say her mother was ill in Rangoon after a severe stroke. Arriving home in April she found life in Burma had changed for the worse since she left as a child. The country that used to be the rice basket of Asia now could not feed itself. A protest movement was growing against the tatmadaw and her status as Aung San’s daughter made her a natural focus of opposition attention. In August she addressed a mass rally at Burma’s most prominent shrine, the Shwe Dagon Pagoda. A half million people gathered to hear her speak. She quietly told them she supported multi-party democracy and called for a minute’s silence to honour those who had died in the struggle. She spoke not of vengeance but of reconciliation and healing. Suu Kyi’s eerie performance electrified the crowd and touched a raw Burmese nerve. Her mother died in December 1988 and huge crowds lined the streets in her honour. When the SLORC surprisingly called an election for 1990, Aung San Suu Kyi was the obvious choice to lead the opposition National League for Democracy (NLD). Embolded by the scale of her support, she threw caution to the wind and denounced Ne Win’s government. This was the excuse the army needed and they placed her under house arrest. She was still in jail when she heard the election result. It was a landslide, the NPD won 392 of the 485 seats. The army were horrified and cancelled the election claiming the NPD was manipulated by outlawed Communist parties and interfering foreign embassies. The tatmadaw arrested all the opposition leaders and destroyed most of the NLD’s political infrastructure. Aung San Suu Kyi remained a powerful figurehead in jail whom the government knew they could not martyr. Foreign media got interested. Aung San Suu Kyi was an attractive, poignant and brave victim perfect for Western media consumption. SLORC ignored all appeals from the US and the UN for her release. She was awarded the Nobel Peace Prize in 1991. The committee said she was “one of the most extraordinary examples of civil courage in Asia in recent decades…She has become an important symbol of the struggle against oppression [using] non-violent means to resist a regime characterised by brutality”. Her son Alexander accepted the award in Oslo. Though Burmese media ignored the ceremony, most people found out through radio broadcasts from abroad. Demonstrations broke out at the University of Rangoon but were ruthlessly suppressed by the government. In 1995 Suu Kyi was released from house arrest under pressure from Japan which threatened to withhold aid. She reorganised the opposition and held gateside meetings every Sunday outside her house to large crowds. The Burmese media continued relentless attacks against her. The tatmadaw stymied her attempts to visit local party chapters, occasionally leaving her stranded in the countryside or at Rangoon train station ahead of planned monster meetings. In 1999, the SLORC (now renamed SPDC) refused a Burmese visa for Suu Kyi’s British husband Michael Aris terminally ill with cancer in Oxford. Because Suu Kyi could not trust the government to let her back in the country, she did not see him again before he died. She was re-placed under house arrest between 2000 for another two years, and after twelve months free, they arrested her again in 2003. Since then, the government have found excuses to extend the detention on a yearly basis despite it being against Burmese law to confine someone for five years without a charge. Just before Yettaw made his fateful swim across the lake last week, Suu Kyi was treated at home for low blood pressure and dehydration. While she was believed to be recovering, she could not get access to her usual doctor who had been detained for questioning. Her detention in Rangoon’s notorious Insein prison could have done little for her health. Burmese authorities are imposing the equivalent of a death sentence by a thousand cuts on one of the world’s most courageous leaders.